WASHINGTON — President Donald Trump’s oldest son on Monday released a series of private Twitter exchanges between himself and WikiLeaks during and after the 2016 election, including pleas from the website to publicize its leaks. WASHINGTON — A data firm that worked for President Donald Trump’s campaign reached out to WikiLeaks during the campaign about obtaining emails related to Democrat Hillary Clinton, the company’s CEO said. 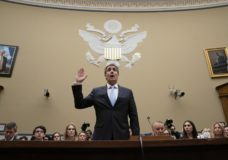 WASHINGTON — Longtime Donald Trump associate Roger Stone said Tuesday he’s “aware of no evidence whatsoever” that Trump’s campaign coordinated with Russians during the 2016 election. 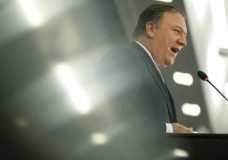 WASHINGTON — CIA Director Mike Pompeo has denounced the anti-secrecy group WikiLeaks as a “hostile intelligence service” and a threat to U.S. national security, a condemnation that differed sharply from President Donald Trump’s past praise of the organization. NEW YORK — Maybe the CIA is spying on you through your television set after all. 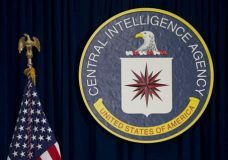 WASHINGTON — WikiLeaks on Tuesday published thousands of documents purportedly taken from the Central Intelligence Agency’s Center for Cyber Intelligence, a dramatic release that appears to expose intimate details of America’s cyberespionage toolkit. WASHINGTON | Cyber security experts and U.S. officials said on Monday there was evidence that Russia engineered the release of sensitive Democratic Party emails in order to influence the U.S. presidential election. FORT MEADE, Md. (AP) — A military judge has sentenced Army Pfc. Bradley Manning to 35 years in prison for giving a trove of military and diplomatic secrets to the website WikiLeaks. Manning was sentenced Wednesday at Fort Meade, near Baltimore. FORT MEADE, Maryland – U.S. soldier Bradley Manning on Wednesday told a military court “I’m sorry” for giving war logs and diplomatic secrets to the WikiLeaks website three years ago, the biggest breach of classified data in the nation’s history.